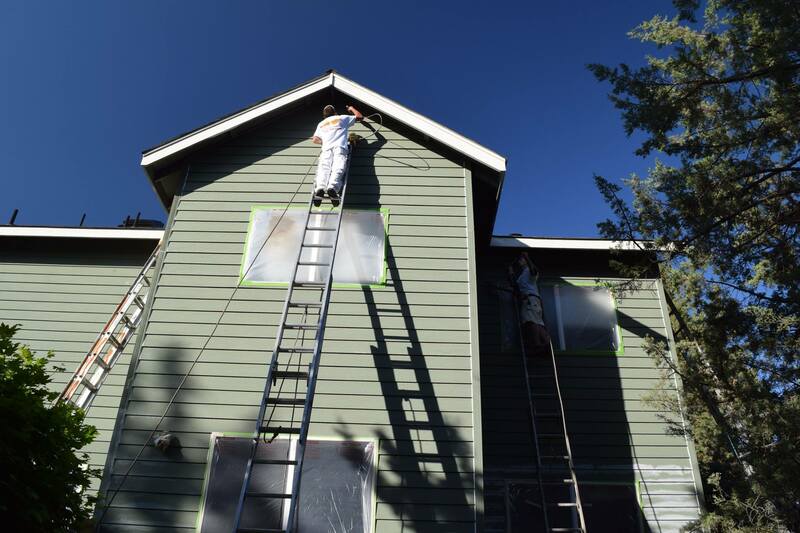 How Often Should You Paint Your Home in Bend, OR? In our blog posts, our #1 goal is to share relevant, interesting updates and info. We really want our writing to help you, our friends and neighbors here in Bend. The short answer? It depends! The longer answer? Keep scrolling. Older materials will need more frequent painting, especially if your siding is made of wood. If this is your scenario, you may need to get ready to paint again 4-6 years after a thorough exterior paint job is applied. That can vary a bit, but it’s a pretty safe estimate. Dark colors tend to age more quickly than light ones, prematurely fading. And this, of course, means that more frequent painting is required to keep the colors true. You’ll notice fading after 4-5 years in most cases, and even sooner if a flat sheen is used. If your last paint job was poorly prepared or had inadequate paint build (1 coat was used instead of 2, for example), you could look at an even shorter life. Every exterior painting process you invest in will contribute significantly to the success, or failure, of the next - doing it the right way is always worth it! So, How Long Can You Expect Your Exterior Paint To Last? On average, taking into consideration all of the above, we would say you can reasonably expect your paint to last 6-8 years under normal conditions. If you want to squeeze every last drop (literally!) of value out of your update, the best scenario is to use high-quality paint on composite siding, and to use a color that isn't too deep. If that’s the case, you could see your paint last 10 years. Have Any More House Painting Questions? Or, contact us today to schedule your own free estimate. We would love to talk painting with you, and help you set your next paint job up for success.